This Scott Thunderbirds Costume is the best way to stand out at any Decade/TV themed fancy dress occasion. Included in this detailed costume are Jumpsuit, Hat, Boot Covers and Sash. 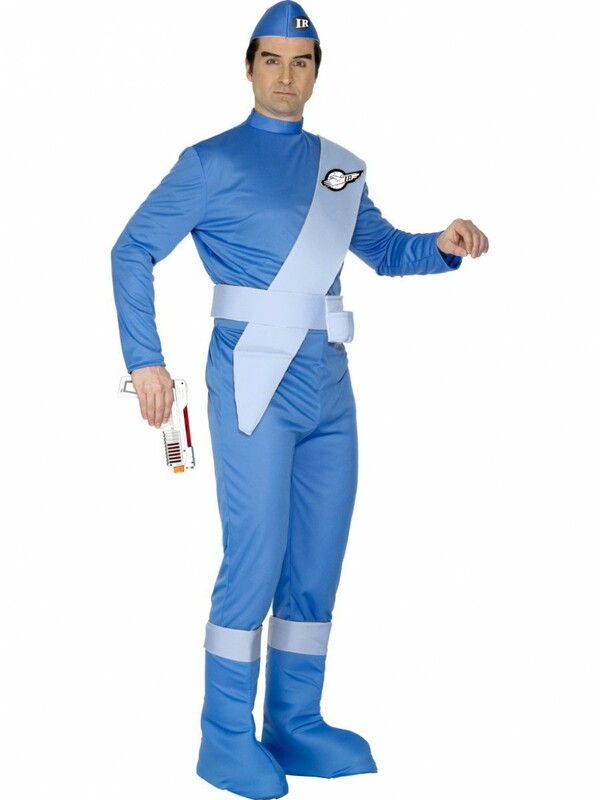 Attend a themed fancy dress party in this fun ScottThunderbirdsCostume; add something different to the party. This costume includes a Jumpsuit, Hat, Boot Covers and Sash. The all-in-one jumpsuit is in a soft material fitting well to its wearer. Additionally, the American GI style hat is also blue and has ‘IR’ printed on the side. Also included in this great costume is a pair of blue boot covers with a grey rim, and a pale blue sash which goes across the body and around the waist, this also has a printed ‘IR’ logo on it with an emblem and a holster at the front. This fantastically detailed Scott Thunderbirds Costume is a great costume, guaranteed to impress fellow party-goers. This outfit also serves brilliantly as part of a group costume! Thunderbirds Scott Costume including Jumpsuit, Hat, Boot Covers and Sash.